This is a round Hanley’s Peerless porcelain sign. This particular Hanley’s Peerless sign is white with black print. 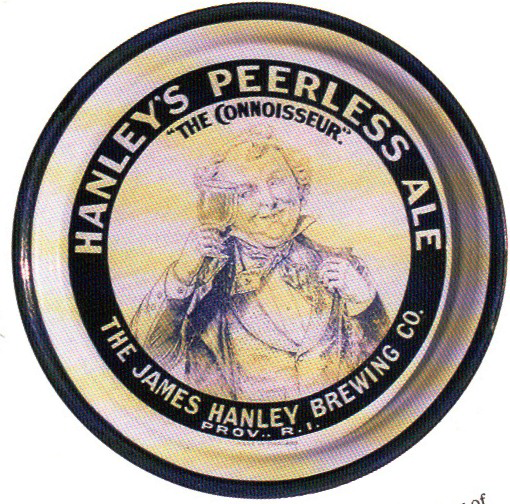 It reads, “Hanley’s Peerless Ale, The Connoisseur, The James Hanley Brewing Co., Prov. R.I.” and features a gentleman enjoying a glass of Hanley’s beer in the center.